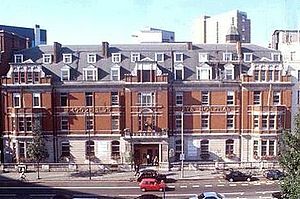 The Institute of Ophthalmology was founded by Sir Stewart Duke-Elder and opened in 1948 to provide a research resource for Moorfields Eye Hospital (MEH). 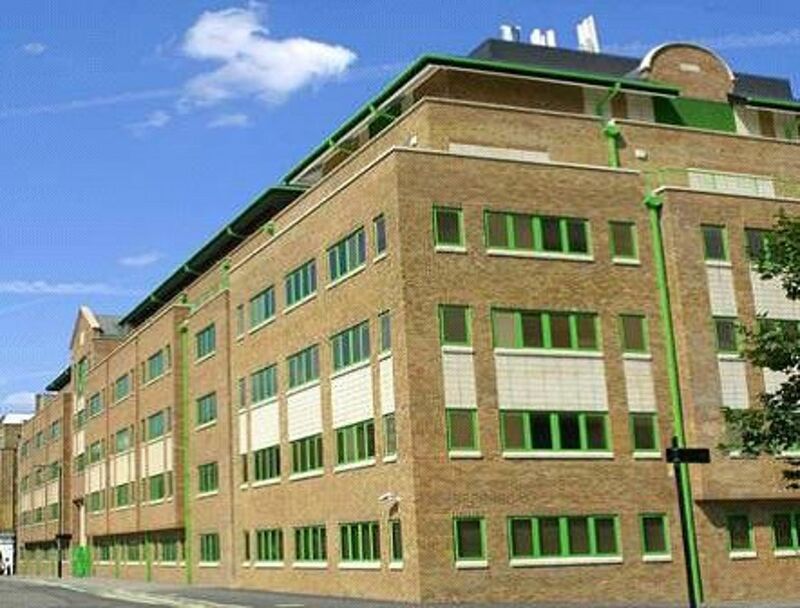 We still work very closely with MEH, which is situated on an adjacent site, just north of the City of London and sees nearly 300,000 eye patients a year. 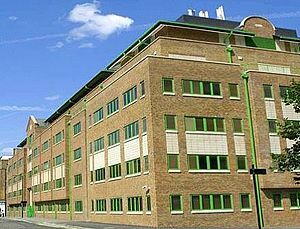 The Institute is now part of University College London (UCL), one of the world’s top universities with particular strength in biomedical research. 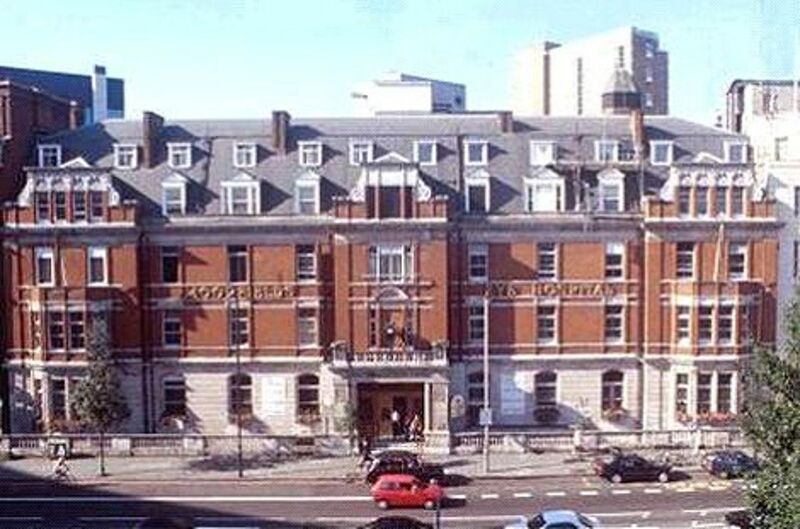 Since its major restructuring in the late 80’s, led by Professor Adam Sillito, the Institute’s strategy has been to combine excellence in key areas of fundamental science with clinically relevant programmes that integrate with Moorfields and other clinical collaborators. The Institute now comprises approximately 230 staff with about 40 tenured academics that following a recent restructuring are grouped into four Research Departments: Cell Biology, Genetics, Ocular Biology and Therapeutics and Visual Neuroscience. We are a post-graduate institution and the teaching of graduate students is an essential part of our activity and we are also involved in training of medical students and trainee ophthalmologists. Excellence in fundamental science is the bedrock of our scientific strategy and Institute staff publish in Nature journals, Cell and Science. An in house platform of high quality science drives innovation in translational programmes, brings access to latest technology and creates a benchmark in scientific excellence. The current fashion for translational medicine that is very prevalent in the UK at present runs the risk of under-investment in the science base that underpins it. Recognising this, since the beginning of 2007, we have recruited to Chairs, investigators in the fields of visual neuroscience, developmental biology and cell biology and to more junior positions, four further cell biologists. The Department of Cell Biology tackles a wide range of fundamental challenges including the biology of tight junctions, membrane trafficking, endothelial cell biology including angiogenesis, mechanisms of inflammation, dynamics of the cytoskeleton and the function of annexins. In addition, there are programmes pursuing models of disease ranging from scarring, through inflammatory disorders and vascular development to age-related macular degeneration. In Ocular Biology and Therapeutics further basic science, particularly in mechanisms of protein folding, joins with programmes addressing eye development, anti-scarring therapy, angiogenesis inhibitors, treatment of ocular inflammatory disorders, pathogenesis of AMD and stem cell therapy (see below). The Department of Genetics has a record of remarkable success in the identification of genes causing a wide variety of eye diseases and more recently in functional genomics and the field of gene therapy (see below). The Department of Visual Neuroscience has made notable contributions to the understanding of central visual processing, psychophysics, retinal imaging, development of the visual pathways and visual rehabilitation. Interactions with investigators in other Departments are critical in defining the functional phenotype of animal models, clinical assessment of trial patients and the development of a new generation of functional imaging modalities. The Institute’s relationship with MEH is especially important. Many investigators have joint appointments and most of our translational programmes are run in close collaboration with Moorfields staff. Our joint working received a major boost at the end of 2006 when we became the host for an NHS-funded Specialist Biomedical Research Centre in Ophthalmology. These centres are part of the strategic shift in UK biomedical research funding that is directed at promoting translational medicine with a real impact for patients. There are five Comprehensive Biomedical Research Centres (including one at UCL) and seven specialist centres including ours. The award, worth £13.5m will support translational programmes in age-related macular degeneration, diabetes, glaucoma, paediatric ophthalmology including inherited eye disease and ocular surface disease. In addition, we received over €3.5m to build a new ophthalmic clinical research facility. International links are also extremely important to us. We are involved in eight EU programmes with a total value to the Institute of over €1.9m including EVI-GenoRet and RETNET. We work closely with the Vision Institute at the Quinze-Vingts Hospital, Paris and have growing links and collaborations with many other centres in Europe and elsewhere. initiation of the first clinical trial of gene therapy for inherited eye disease. The trial of RPE65 gene therapy in adults with Leber congenital amaurosis started in January 2007 and we will report the outcome in the first three subjects at the end of April 2008, whilst continuing to enrol further subjects, including children. We expect that establishment of proof of principle for this condition will facilitate rapid expansion of gene therapy for a wide range of ocular disorders. Stem cell transplantation is another important area. We have the first MHRA-accredited laboratory for ocular stem cell transplantation and presently this is being used for experimental limbal stem cell grafting for patients with ocular surface disease. The next major phase of stem cell work is centred on the London Project to Cure Blindness. In these, as yet experimental studies, human embryonic stem cells are being differentiated into RPE cells prior to transplantation as a potential therapy for age-related macular degeneration. The very substantial financial support for this programme, from a US benefactor, has given enormous impetus to this investigation. Further downstream is the ambition to restore neural retina using stem cell / retinal precursor strategies and several groups are working on different aspects of this. A major programme of work targeting idiopathic juxtafoveal macular telangectasia and funded by the Lowy Medical Research Institute is generating new insights into the pathology of retinal circulation. The promise of these and other translational programmes is great: The challenge is delivering on that promise. We are also interested in diagnostic approaches and a recent success in this area has been the experimental demonstration of apoptotic retinal cells in models of glaucoma. The potential for studies of pathogenesis and for validation of neuroprotective strategies is considerable. Research into vision and eye disease has never been more exciting or offered more promise. More information about our activities can be found on our website; www.ucl.ac.uk/ioo. We are always very keen to hear from anyone wishing to collaborate or possibly spend time doing a fellowship in London.